Here at Wine Country Excursions, we are native to the Sonoma and Napa valleys and have considerable knowledge regarding everything fun and interesting that happens in wine country - from exclusive Wine Maker dinners to Wine Country festivals! We call ourselves Travel Designers - we are not affiliated with any hotels, restaurants, tour agencies, or organizations. 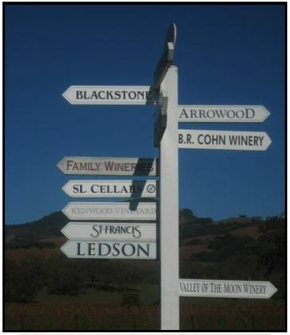 Our unique concept of travel is based upon sharing our extensive knowledge of the wine country while allowing our clients to have the independence of travel. With Wine Country Excursions, our clients get the luxury of having a perfectly planned vacation with just one click or phone call!